Jazz can mean many things and the definitions vary from person to person. This recording is one of my favorite examples of the "Cool Jazz" that happened in the fifties and sixties. 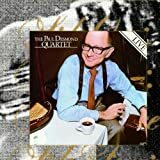 Preserving the genre into the mid 1970s Paul Desmond stands out as a brilliant leader able to present a beautifully finished product in this classic setting. Recorded in a club you can hear the occasional clinking of glassware in the background although crowd noise is never a problem. The effect is to make one wish they had been there experiencing this performance in person. Thankfully the recording does a wonderful job of preserving the overall affect of this jazz master's later years. Ed Bickert's guitar work is outstanding, an example few well known jazz guitarists can even approach. His harmonic content and control is nothing short of incredible. His solos tend to be chord based and unique to him. In my humble opinion this is jazz at its best, mellow, warm and unobtrusive yet never boring. If you love cool jazz you will very likely love this recording. Replace Take Five with a better take! When I first heard this live on double LPs in the early 90s, I thought Desmond's playing was feeble. His usual "slow" playing didn't sound "smooth" or "polished" but "tired" and "vanishing." This was understandable, given the fact that he was suffering not only from creeping old age but also from lung cancer, as we know now. But this CD reissue has given me a completely different impression. He sounds great with a lot more energy that I failed to catch in the LPs. But what on earth happened to Take Five? Vulnerable Desmond is back. His sax sounds "off microphone" as compared to other tunes whose Paul's solos are captured much more clearly "on microphone." Since five evenings worth of their performances were recorded, much better take of Take Five should have been included in the LPs and this CD. OR, I welcome the box set issue of "The Complete Bourbon Street Sessions," as we have seen with a number of Bill Evans Trio club sessions. This is 79 minutes of very lovely, mostly mellow jazz from the excellent sax player and composer Paul Desmond, recorded live less than two years before his death from lung cancer. He is well supported here by guitar, bass and drums. His elongated version of his own famous "Take Five" comes out quite different than it was on the Dave Brubeck Quartet's "Time Out" recording which made the song and Desmond famous. This was originally issued as a double-LP in 1975, eight years after Brubeck's quartet disbanded. Here, Desmond is the leader, and there is no piano. His saxophone and Ed Bickert's guitar both offer many, many minutes of beauty, and the bass of Don Thompson and drums of Jerry Fuller get a little attention as well. This music is closer to "smooth jazz" than to the energetic deliveries of Coltrane or Rollins, yet it is never boring, never pedestrian enough to qualify as "background" music. You really can't help but like this a lot. It's the kind of album you want if you have a 90-minute drive to make on a crisp autumn day, alone (or two 45-minute segments for the round trip!) It also would set a great romantic mood if you were cooking for your loved one and hoped for cuddling after dessert. The extensive and fascinating liner notes are an added bonus, and tell the owner quite a bit about the kind of mind Paul Desmond had...witty and likeable. For Desmond fans only- but man, what a treat! I should state a personal bias before writing this review: I am practically a Paul Desmond completist. Like many other Desmond fans, this was an album that I owned on vinyl for a few years and nearly wore out from listening to it so much. This is Desmond in his final days with his final quartet, which fit him like an old comfortable shoe. These songs are long and moody, often with long, pretty guitar solos by Ed Bickert and plenty of accomplished bass solos as well. What I love about this album is that Desmond plays some of his favorite songs here, and he plays them with so much emotion its enough to make one cry. This is Desmond at his best: emotional but not whiney. It's a great album, and a real treat for Desmond fans. Since it's so cool and down-tempo though, the new Paul Desmond fan may want to start else where, but for those familiar with his catalogue this is considered one of the most cherished recordings out there. I just want to put in another good word for this album. I've owned it on vinyl since it came out in the mid 70's and it's always been one of my irreplaceable treasures. To have it available again in this significantly improved reissue is a great joy. The sound on this cd gives full voice to Don Thompson's bass and also gives richer presence to Ed Bickert's incredible guitar. Paul Desmond's tone, obviously, has always been to die for, but it's even better here with this digital remastering. He's never sounded better, to my ear, than he does in this live club setting where he can really stretch out. He plays chorus after chorus of inspired, lyrical, beautiful, impossible improvisation, putting his lifetime of experience behind every note. The first two tunes especially, Wendy and Wave show him at his best, but really they're all great. I've been a Scofield fan for as long as I can remember and see him live as often as possible. That said, and much as I've enjoyed his funk outings, this is the best thing he's released since his days with Joe Lovano in the band. This is a telepathically tight trio, and Scofield's solos here make it clear he's one of the greatest jazz guitarists ever. Lots of risk-taking, tremendous creativity and chops, with a range that moves from Bop to blues to New Orleans funk - often all in the same song. Truly a master at the top of his game. MAN! That guy can play! Scofield fans rejoice! This is probably his best album in years. It's live, so we actually get to hear Old Man Sco play, and play, and play, and, well, you get the idea. The energy is great, the band is solid, and Scofiled's solos go on for days. Usually, in the studio, the guitarist is more cautious. He keeps his solos relatively short and he doesn't come up with as many crazy voicings and riffs that fans have seen in his live shows. That is not the case here. He comes up with so much off the wall stuff that it blows my mind. Also, we have the unusual treat of hearing him play some high tempo bop. I have most of his albums and I never realized he could play and sound so good playing that fast. I agree with the other reviewer that Swallow's playing is a little too low key, but it isn't a big deal. Bottom line: if you dig sco, you'll dig this; if you were never really sure about sco's chops, you'll be pleasantly supprised; and if you're just looking for a kickin' record, you've found it. I saw the later show both nights, and couldn't believe what I was hearing. Scofield truely took it to a new level for me. I had been into his work with MMW and jamabands but I didn't know he had it in him. This show prooves he does, Scofield is truely a jazz musician. As much as I'd like to pretend it was, this is definitely not something that all newer fans of Scofield will enjoy. 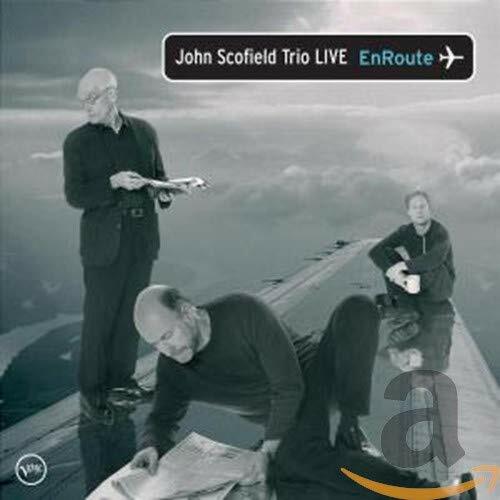 There are definately moments on this cd that amaze me every time I hear them, but there are also moments where Mr. Scofield goes a little too far outside the lines for too long for my tastes. This cd gets four stars for all the amazing moments and for the fact that the groove is a constant that Scofield has made his trademark. If you are new to straight ahead trio work or come to Scofield by way of his funkier cds, you might want to take this cd into consideration with caution. Make no mistake that at times this album has hard bop written all over it, but make no mistake that Scofield is one of the best guitarists that has ever graced jazz/fusion. I heard "Compared To What" a few times before buying the album, and that was the track that really turned me onto this excellent jazz album. "Compared to What" has a great beat and is just an overall amazing song. The song that follows, "Cold Duck Time" is a great jazz tune because it has a cool mellow feel to it. The rest of the album from there is excellent, I reccomend this album to everyone that likes jazz and even for some that may not, it is hard not to appreciate the great musical pieces on this album. A thoroughly enjoyable CD. Great fun, but still deep. "Compared To What" is the kind of track that blows away anyone who hears it -- everyone I've played it for has immedietly bought this CD! Like the rest of the album, "Compared to What" is intensely groovin', passionate, nicely loose, positively upbeat with just the right hint of righteous '60s revolution vibe. It's a good thing there are still a few radio stations in the country, such as WXRT in Chicago, that dig up great nuggets like "Compared to What", the leadoff track on this great CD. I'd never heard the number before, but liked it so much when I heard it in my car I ordered the CD as soon as I got home that day. 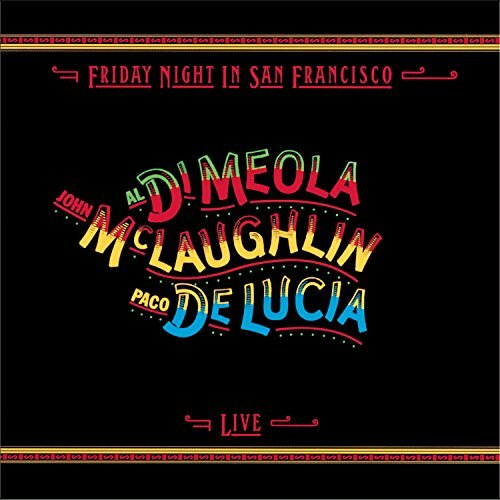 If you like cool '60s-era jazz, the kind of music your folks might have listened to if they were hip; this is your album. 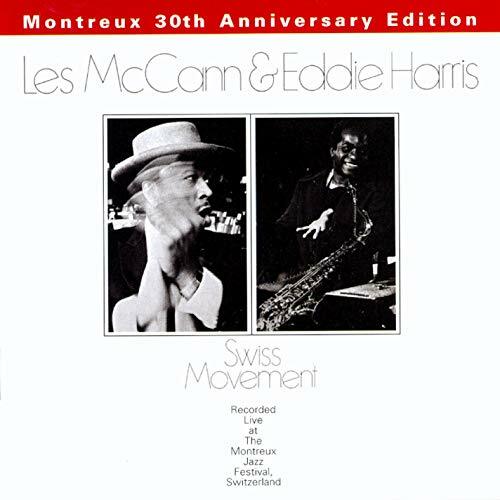 This impromptu collaboration of the Les McCann Trio and horn players Eddie Harris and Benny Bailey, taken from a live performance at the Montreaux Jazz Festival in 1969, holds up well. OK, the sardonic lyrics in "Compared to What" are dated, but the music still packs a wallop. McCann's piano playing compares favorably to Ramsey Lewis', and that's saying something. Throw in Eddie Harris' tenor sax, Benny Bailey's trumpet, Leroy Vinnegar's bass and the uptempo beat of most of the tracks, and you have a nice, tight package here that will not disappoint. This is not "new age" jazz; this is straight-ahead music that you can move to. Very highly recommended. This is one of those recordings that seemed always to be on someone's stereo when I went to college. Lots of people who ordinarily didn't listen to much jazz had it and loved its mixture of funk, soul and jazz improvisation. Sometimes these recordings don't age well, and I picked up this CD with just a bit of wariness, thinking its hipness might have gone the way of tie-dyed shirts and bottles of Mateus. I'm happy to report that the 1969 concert still packs plenty of punch. 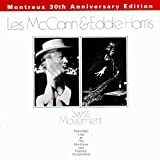 This 30th anniversary edition in particular is worth buying because it contains detailed notes on how pianist McCann, saxophonist Harris and trumpeter Benny Bailey came to be on the same stage that night in Montreux. Turns out it was very impromptu -- to the point that Bailey didn't even know most of the tunes and had to follow Harris's lead as he searched for the changes. Given that, Bailey's performance is especially impressive. His solos not only are crisp, they crackle. He's particularly effective on the date's best known tune, "Compared to What," on which he delivers a very sharp plunger mute solo that adds spice to an already very hot performance. Harris is in fine form throughout, delivering plenty of unforced soulfulness on each track, especially "You Got It in Your Soulness." His solos have a fluidity that makes the tunes sound rehearsed, although they really weren't. The date is not long on compositional surprises (there's no way it could have been; bassist Leroy Vinegar's "The Generation Gap," was so new it didn't even have a title on that night), and that makes it a four-star release for me. McCann's piano is funky but not particularly inspired -- although his vocal on "Compared to What" is -- but overall the group displays some genuine fire that I think many listeners will find just as enjoyable as I did when I first heard it. At some point in 1956 Sonny Rollins developed from being a promising new voice on the tenor saxophone to one of the great jazz improvisers. From then until his temporary withdrawal from the jazz scene at the end of the decade he produced a series of fine recorded sessions, including a classic album aptly titled 'Saxophone Colossus'. 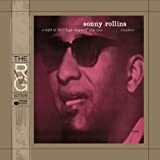 This Village Vanguard recording from 1957 is valuable for capturing Rollins in good form in a live setting accompanied only by bass and drums. Of additional interest is that the drummer was another jazz colossus treading his own path to greatness: Elvin Jones. As these were live sessions, it's not surprising if some of Sonny's playing here is sometimes more diffuse than in the more tightly constructed pieces on his studio albums from this period. Nevertheless there is a lot of inspired and energetic playing here. Tracks such as "Sonnymoon for Two", "Softly as in a Morning Sunrise" and "A Night in Tunisia" are often singled out as highlights; but I haven't yet come across any appreciation of "What Is This Thing Called Love?" as the most remarkable performance. This track reminds me of two other Rollins classics: "There's No Business Like Show Business" (on the earlier album, 'Worktime') and "Three Little Words" ('Sonny Rollins on Impulse' - 1965). Like them it shows Sonny paring down and reconstructing a well-known standard with characteristic resourcefulness and wit, playing with motifs from the tune and with time and phrasing, and managing to sound both supremely relaxed and intensely concentrated at a moderately fast tempo. Notice how at the beginning he exploits the lack of a piano accompaniment to create harmonic ambiguity: by playing with just a few notes from the tune he teasingly hides its identity for a few bars (it sounds at first as though he is going to launch into "Toot, Toot, Tootsie"). Here and there on these sessions, but particularly on "What Is This Thing Called Love?" you can also hear Elvin Jones beginning to cut loose from his influences and to anticipate the kind of percussion playing he was to develop in the next few years, reaching a peak in his work with John Coltrane in the 1960s. For example, on this track he already shows that ability both to maintain the basic pulse and to appear to subvert it with the use of complex polyrhythms. This begins to happen during Sonny's solo and becomes increasingly adventurous in Elvin's. 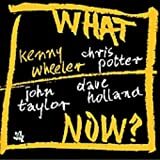 There is a particularly telling moment at the end of Elvin's long solo, when, after the original tempo seems to have been lost in a succession of polyrhythms, Rollins comes back in, immediately picking up the original tempo as if both players had rehearsed it down to the fraction of a beat. If it weren't for that moment when Sonny re-establishes control, one could suppose that on this track Elvin is the leader, taking the music where he wants it to go (it is he who has the first as well as the last word!). So for different reasons I think this track is the 'classic' of the album and one which gives an intriguing anticipation of things to come - not only of Elvin's later work with Coltrane and others but also of the increasingly abstract style which Sonny was to develop in the next decade. To describe these performances as 'dialogues' between Sonny and Elvin would be to unfairly slight the contribution of bassist Wilbur Ware who plays well throughout, reliably maintaining the trio's harmonic foundation, and produces some good melodic motifs in his solos on "Softly as in a Morning Sunrise". But it's fair to say that his more conventional playing helps to set in relief the occasional glimpses into the future we get from his partners. Whether as an historical document or in its own terms as an exhilarating blowing session, this is a highly recommended album. The sound is mono only, but for a club date is good - clear, realistic and well balanced between the three instruments. The only other collaboration between Sonny and Elvin that I know of is the mid-1960s album, 'East Broadway Rundown'. You might not like the long 'free jazz' title track, but the remaining two excellent trio tracks are available on a CD in the Priceless Jazz series, along with some other good Rollins performances from the period (Priceless Jazz GRP98762- see my Amazon review). Before this live album was recorded saxophonist Sonny Rollins dabbled with a number of different sized groups. Eventually he settled on the trio with either drummer Pete La Rocha or Elvin Jones (pre John Coltrane classic quartet) and bassist's Wilbur Ware and Donald Bailey. A NIGHT AT THE VILLAGE VANGUARD was the first recording ever made at the esteemed jazz club. I don't know what recording techniques were used, but some have expressed their reservations about the sound quality. I would like to dispell those reservations up front. This album does not sound quite as good as some later live recordings from the club. But if you turn it up it sounds practically as good. This is one of those albums that sounds better as you play it louder. Fiddle with your EQ a bit and you will be satisfied. This double disc set is THE one to get-don't even consider earlier partial releases of material from this gig. Here all the music is properly sequenced and you can enjoy the interplay of the trio, the often goofy introductions by Rollins, the chatter between him and the audience, and you can hear him counting off the beginning of tunes which is kind of fun. You get a nice set of standards here including "A Night In Tunisia", "I've Got You Under My Skin", and "What Is This Thing Called Love?" as well as some great originals like "Sonnymoon For Two" and "Striver's Row". The jazz trio is a bit easier to listen to when you talk about a piano-based trios like Sonny Clark or Bill Evans. Without the piano to provide a solid chordal foundation for the melody, it is easy to get lost. The bassist can only provide so much of a tonic root. Think of it as a vine that grows up and wraps itself around a wooden post or trellis; the vine adventures off to one side and then another, but always comes back to its foundation, its root: the post. In jazz, the piano and bass usually make up that post, the center around which the soloist works. Without the piano, the soloist is even more free to explore. This can be dangerous as the tonal boundaries of the music become less defined and blurry-in essence, the soloist may lose his or her way much more easily. And without the piano, to where does the soloist return? This certainly *could* have been the case with this recording. The fact that Rollins never loses his way is a testament to his brilliance and complete command of his instrument. It may take you a few listens to acclimate your ear to this piano-less trio, but when everything clicks for you, you'll be loving life. On one of his first albums as leader, Sonny Rollins was already showing us the future of jazz. is it just me or is Elvin's drumming kinda sloppy on this album? Trane sometimes seems to get all the glory ans talk and many other great players get overlooked. Sonny Rollins, on this date, proves that he is second to nobody, he is is own man. I had listened to other recordings of him, including to Saxophone collosus, his greatest recording for many people. But until I listened to this record I was able to completely get a grasp of this genious and endlessly imagination. This is an essential purchase, one fo the best live recordings in Jazz, and a great remaster by the way. Sonny Rollins is said to have had great nights and nights when he played but his mind was on other things. One thing I am certain of - on this night at The Village Vanguard - Rollins mind was focused on playing, and the results are fantastic. In the trio setting Rollins' saxophone takes center stage even more than that usually does. He recorded the interesting "Freedom Suite" and "way out west" with only drums and bass, but I think this time the results are the best. It may have been working with the young Elvin Jones, or just a coincidence, but Rollins' humor and talent for interesting phrases never sounded better. It seems to me that by 1957 - Rollins was the most developed modern tenor player around. I find it hard to imagine Coltrane at this time playing in a trio format and producing such wonderful results, although this may never be known since as far as I know Trane did not record in such a format. 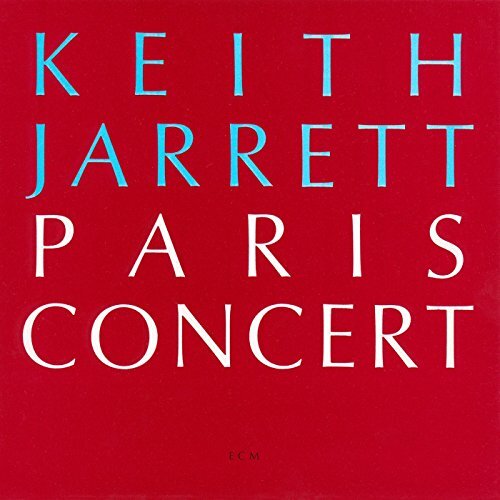 Keith Jarrett's "Paris Concert" beings in a classical vein, employing quiet spots to create a meditative mood, but it quickly turns to moodier, even dangerous, territory with quicksilver tempo changes. Think of a stream that rolls and runs, building a force that nothing can stop. Jarrett piles on layer after layer of dense, pulsing sound, until the last third of "October 17" is awash in thunderous arpeggios, with the clouds clearing in the final, gorgeously sunburst six minutes. This music doesn't put you "in the mood" - it opens up the moods that are inside you and transcends mere listening. The more melodic "The Wind" seems like an appropriate coda for this brilliant recording, with a thoughtful, almost nostalgic coloring. I also own the "Koln Concert," which also has its incredible passages, but I'm surprised that "Paris" only has a dozen reviews thus far. It's one of Jarrett's best pieces of improvisation and it shows his mastery of feeling, technique and range of styles. I think that Jarrett's fans may prefer not to overdo their praise; the music is like all the better things in life: best savored in the intimate way Jarrett meant to convey it. Well, what should I say...Once I had a girl...Or should I say - she once had me. She brought me a tape , left it with me and went back home. That night changed my level of musical perception. I was introduced to Keith Jarrett and his music. That night that tape was played about 10 times until power outage and lack of AA batteries saved it from complete wastage. 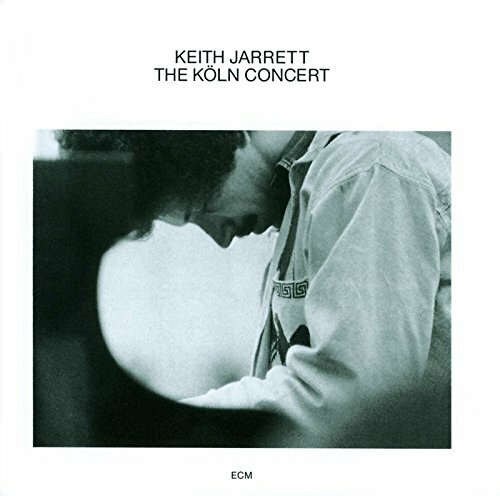 Folks, if you have never heard Keith Jarrett before, then be very careful listening to this album - it might knock you off your chair (bed) or it might glue you to your chair(bed) for quite a while. 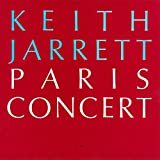 By now I have more than 40 CDs of Keith Jarrett and all of them are fantastic but... but... PARIS CONCERT is something enormous... This is a single most emotional concert of all I possess on my 1500 CDs and of all I have ever been present and listened to. If you can imaging a "naked piano" then that's what comes to smb's mind listening to "THE WIND" . I do not only RECOMMEND you to get this album, I HIGHLY ENCOURAGE you to do so. Regarding the piece "The Wind" - it is NOT by the guitarist Russ Freeman of the Rippingtons as another reviewer mentioned, but is by the great west coast jazz pianist Russ Freeman (1926-2002). Originally recorded by Chet Baker & Freeman in 1954, the composition has been kept alive for decades with recordings by several dozen great jazz performers. As a lifelong baroque fan I have encountered Keith Jarrett's recordings on many occasions. While I have never been truly impressed by these ventures, I do have to admit that Jarrett's baroque is light years ahead of the way most classical pianists play jazz. In order to visit Keith on his home turf, I browsed the Amazon pages and gave this cd a chance, since one of my fellow reviewers alluded to Bach's Goldberg variations in his comments. This cd contains three pieces: two smaller jazz tunes, preceded by a massive "baroque" improvisation. This improvisation is without a doubt the meat and bones, or to keep the link to the place of origin, le raison d'etre of this cd, and I will focus my review on this piece. There is no doubt that Jarrett's exposure to works by the baroque masters was a big influence on the opening composition October 17, 1988. Yet, it would be more accurate to consider this piece a jazz re-examination of some baroque principles through an updated Cesar Franck perspective. I have been a great admirer of Awadagin Pratt's "Live from South Africa", which starts with Franck's prélude, fugue, et variations. While I am not certain that Jarrett was in any way familiar with this rather obscure transcription, there is great similarity between the first section of Jarrett's half hour long meditation and the Belgian organ master's prelude. In addition Keith's interpretative approach of this first section also sounds a lot like Awadagin's. The resulting first of a total of three sections, which seems more scripted than improvised, is a very involving revisit of a romanticized baroque, based on a jazz/soul harmonic backbone. Next comes the section that took me repeated listening to appreciate, yet that I now consider the most interesting of the disc. Both Schubert's Wanderer Fantasie and the fifth section of Liszt' piano sonata- the latter greatly inspired by the former- contain a pseudo-fugue section, that shortly follow Beethoven's twist on integrating baroque forms in a contemporary setting, yet never deliver more than short, but intense "turbo-boosts" in the work. The second section of October 17, 1988, similarly is a pseudo chaconne. 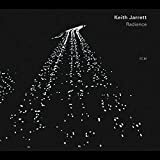 It starts with an ostinato bass theme that initially seems to lead to a cycle of variations, but that evolves in a rhythmic and harmonic fundament on which Jarrett lets his improvising skills run wild. While the bass drum beat never ceases to induce long lasting headaches in my fellow family members, I think Jarrett is at his best here. Ok, it may be somewhat repetitive here and there, but few can match the fluidity of the phrasing and rhythmic layering. October 17, 1988 ends with a third section that is a long choral. Again there is a lot of room for improvisation and Jarrett neatly ties up the strings from the previous two movements. The piece is entirely jazz, yet exudes the atmosphere of a church hymn played on an organ. Playing again is extremely emotionally involving. The level of the recording may not be great, but is decent enough. As a Glenn Gould fan, I am used to hearing sung accompaniment to the piano -by the way both Maurizio Pollini, Kristian Zimerman and to a lesser extent Alfred Brendel can be terrible vocalists too-, yet I am not too pleased with the strange distorted "squeeze" that the engineers have given Jarrett's vocal eruptions. To me, it would have been far less bothersome if the singing had been reproduced unaltered. In all, I have greatly enjoyed listening to this Prelude, Fantasy and Choral for more than two months and give it my full endorsement for jazz lovers and open minded classically oriented listeners. Recorded in 1988, not long after Jarrett had been studying Bach's Well-tempered Clavier, this wonderful concert performance captures many of the most sparkling elements of baroque keyboard composition. Since acquiring this CD I have listened to Bach's Goldbery Variations and Jarrett's recording of Handle's Keyboard Suites, and there is nothing that comes close to the celestial excitement of the first ten minutes or so of the opening track on this album. This is a great multi-purpose CD -- play it in the car, in the office, at your next dinner party, while you're working, impress a classical buff with it, maybe even impress your parents. The most startling aspect of track #2, 'The Wind', is that it was co-written by Russ Freeman, leader of the Rippingtons, a sort of dinner-jazz collective held in low esteem by most serious jazz fans. I wouldn't have expected Jarrett to have many Rippingtons' albums in his collection, but he's selected a goodie for this concert. Track #3, 'Blues', doesn't maintain the compositional strength of the rest of the performance, but it's a nice encore piece to send the audience away with a riff to hum. 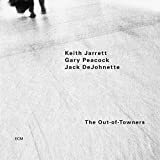 This solo concert was the first Keith Jarrett solo concert I heard, and from the very first notes I was immediately swept into his wonderful, exciting self-created world. It has remained my favourite solo concert ever since that moment. Part 1 on the first CD is the best of the three parts. It's 18 minutes of pure genius. Part 2 is longer and not that "compact", but it's still nearly perfect. The second CD is very good. I can't describe the music in words alone, for it's just too beatiful, deep, and powerful that you have to listen for yourself. 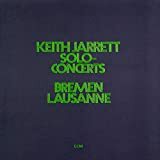 What is characteristic of the Bremen/Lausanne concert is that is has much more flow to it than all of his other concerts. And it's far more based on melody, whereas in a lot of other concerts he keeps his left hand playing the same notes again and again. You won't find it here - a little, but not much anyway. Just a little note on the Köln Concert. In comparison to Bremen/Lausanne, it's very direct and not very deep. 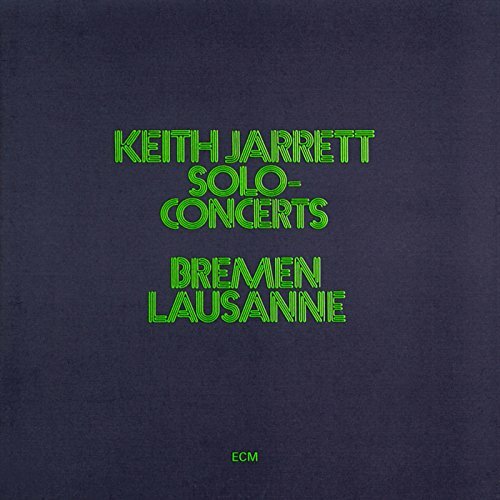 The Köln Concert is the most famous and popular of Jarrett's solo concerts, but the most overrated too. If you want the real thing, and aren't afraid of listening to this music in a quiet environment many times, you'll come to love it. I was actually searching for Jarrett's 1997 La Scala to review, but can't seem to find it. Strange. So, I figured I'd write a review of Bremen/Lausanne. These two discs really are at the top of Jarrett's solo live series. It's funny, we all write in with our picks for THE best- Koln, Paris, La Scala, Vienna, Bremen & Lausanne, etc., but really, it's very hard to pick one, isn't it? Some days it's this double disc, others it's La Scala, sometimes Koln. Then, most Amazon reviewers cite Paris as their favorite, which is usually last among equals on my list. This double disc is great from start to finish though, which says a lot because it is A LOT of music. Be careful to listen to the end of track 2 (i forget if it's disc 1 or 2)- there's really a third track, an encore of sorts, which is one of the most gorgeous small movements in all of the Jarrett canon. One reviewer of the Vienna Concert remarked that it took him two years to "hear" Vienna part II. I think this is one of the most astute comments on appreciating Jarrett's music I've ever heard. It definitely takes time to *really* hear the music. I think I listened to La Scala (whose part I is quite possibly the most beautiful of ALL Jarrett solo music I think (at least this month!) for months and months, not really caring for it, until one day I finally *heard* it; like Siddhartha sitting at the same old river, one day it clicks and you HEAR it. This to me is the experience of appreciating Jarrett's music. One final word- it has been noted that Mr. Jarrett felt Vienna was the pinnacle of his solo series upon it's release in the early 90's. I am curious if that opinion still holds up in light of La Scala. I only recently picked up Vienna, so who knows what treasures it holds, but to my ears La Scala- the pure beauty of the resolution of the first movement- seems to be the shining star above all the rest. This is a two CD set. 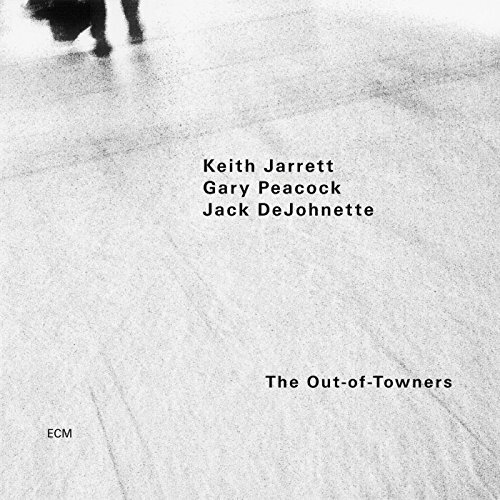 The first disc contains Keith Jarrett's most appealing music, if not his best. If you're only curious enough about Jarrett's music to buy one of his albums, this is the one to get! No doubt. If there is better piano music than this - let me know. I have been listening to Jazz for almost 40 years and am also a jazz pianist and flutist. 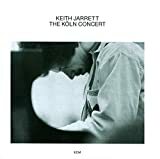 I first heard keith Jarrett Live in 1974 at the Commodore Ballroom in Vancouver,Canada...that concert was the best musical experience I have ever had. There were also Jazz concert reviewers there (including Bob Smith a man in his 60's then) that wrote that the concert was "Mind-Blowing" , I also felt that way. Keith Jarrett came on stage and just blew everyone away, it was as though we were transported into a higher dimension far from Earth and all it troubles, Jarrett was playing 8 note chords in rapid rythms and also started drumming on the piano and strings at one point, this was the man a his peak, the power and endless ideas of his playing just flowed like a river, as if effortlessly, all the musical ideas from centuries around the world were being fused into something astonishing! Unfortunately that concert was not recorded...however Bremman Lussane which was recorded - about 1 year earlier - is a very good album (was named Time Magazines Jazz Album of the year in 1973) These disks contain exhillaratingly beautiful passages and complex counter-point type runs as well as the thick chords that he became famous for. Unfortunately Keith could not keep it up, the Sun-Bear concerts while very good do not have the over-all brilliance that these disks have. Koln concert which was his most poplular and has great moments and a harp-like sound due to close miking still is not as good over-all as Bremman Lussane. This is a musician's musician's finest recorded work. This is the man who Oscar Peterson named as one of his favourite pianists, Winton Marsalais said "he is very good". Down-Beat Mag's readers named him best Pianist in the World. Even Rock stars Elton John and Mick Jagger("I know its only Rock and Roll but I like it") said he was their favourite. BTW...One likely strong influence on Keith way back in the early 1970's was South African pianist Dollar Brand (now Abdulla Ibrahim)and you can also hear Keith's influence on Abdulla on some of his albums of recent years. No one comes from no where. Keith Jarrett is probably the greatest improviser of the 20th century. He can sit down and spin out original ideas from the top of his head for up to an hour (Lausanne concert). 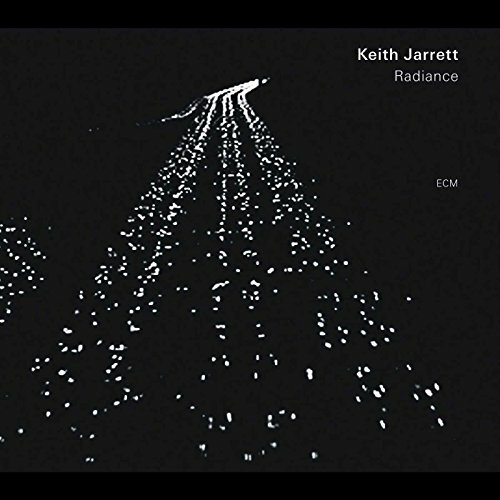 A tremendous melting pot of styles, you'll hear gospel, boogie, trance-like atmospheric passages, Romantic style melodies, atonal improvisation, contrapuntal improvisation, name a style and Keith Jarrett has absorbed it. Jarrett himself said of originality: "Jazz has built up this need to be unique. That's egotistical. As far as I'm concerned, the last thing you should try to be is original. If you sound like 80,000 others, as long as you don't imitate, it's still music." 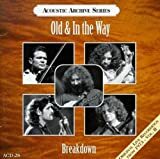 I guess I was always aware of Bluegrass growing up, as my grandparents would always gather round the TV to watch Bill Monroe wail away on his mandolin but it wasn't until I started to explore Jerry Garcia's side projects that I realized how intricate and complex this music is, not to mention how talented the musicians are. From the opening introduction by Pete Rowan through old classics like the signature Panama Red, Working On A Building, and Pig in a Pen to an amazing rendition of the Rolling Stones' Wild Horses this album is a winner. As you listen to it you can't help but think that these guys are sitting on your portch in rocking chairs. It is an excellent recording that captures the essence of the work of this excursion in the mid seventies. If I could urge every Deadhead out there to learn one more thing about Jerry Garcia, it would be to appreciate his love for Bluegrass and Folk music. He has certainly done me a favour by introducing it to me. Also, check out Old & In The Way as well as That High Lonesome Sound, as both are equally superb. Thanks again Jerry, fare thee well. My Dad's Finally Hooked on Jerry! After 20 years of trying to convince my father that the Dead weren't an Acid Metal band of hoodlums, I struck gold w/ this album! Loved the look on his face when the CD was over & I told him "that was Jerry Garcia and David Grisman from the Grateful Dead!". A must own for your CD Jukebox. Many folks are initially suspect of Old & In the Way's authenticity considering the group includes Jerry Garcia. Let there be no doubts of Garcia's bluegrass integrity (personally, I think he should have played more bluegrass.) Garcia introduced a whole new generation of folks to bluegrass...and most of them probably would not have heard it otherwise. That being said...onto the music review. This is truly an all-star lineup: Vassar Clements! David Grisman, Peter Rowan & John Kahn round out the lineup. This amazing set of 19 tunes includes many classics like Bill Monroe's "Pig in a Pen," "Workin' On a Building." It includes the Rolling Stones "Wild Horses," which the group makes sound like a true bluegrass tune (this is no gimmick.) The playing is clean and tight. Also, this is the way bluegrass should be heard...LIVE! This music is ultimately learned in an oral tradition and from watching and jamming with others. Sure you can learn from books, but that strips the soul out of the tunes. Plus many songs are anonymous and there are many versions of the same tune passed down through the generations. Tied with Kind of Blue for my favorite album. This album might not blow you away the first time you hear it, but man is it powerful. I honestly think that the synergy between Motian, LaFaro and Evans is comporable to that of the players in Davis's kind of blue. Chances are, if you're a jazz fan you've heard Kind of Blue. Evans was in it, and was absolutely amazing. Here, a few years later, he's at it again with a thoughtfulness, sensitivity and passion that might take a while to sink in, but it gets better each time you listen to it and if you're like me, you'll listen to this album hundreds of times. I haven't heard all of Evan's albums but a lot of people say that Live at the Village Vangaurd is the best. I think this album is so great that it tops even that album. I believe Evan's piano will be played as long as the piano of Bethoven . . . seriously! As if the previous reasons weren't enough to justify buying it, you'll hear one of the best bassists of all time. Buy it. The sooner the better. The piano is a versatile instrument. It can function as an accompanying instrument or as a leading instrument. For the latter, there is no better album. Evans' rendition of My Foolish Heart is one of the great moments of jazz history. It opens the album superlatively. The title track and Detour Ahead are both gems. Everything on the record is stunning. The late Scott LaFaro sounds more inspired than ever. In regards to which you should buy first Waltz for Debby or Sunday at the Village Vanguard, obviously it is all subjective. However, to make things maybe too simple, I will say this. Sunday at the Village Vanguard (released first) has a greater focus on LaFaro's bass and writing than Waltz. Waltz for Debby is just an inch stronger because the trio is presented more as a unit and less as a platform to feature each instrumentalist. But truly they are both phenomenons of jazz history. Easily the greatest records Evans ever made, and easily the greatest piano trio recordings ever made. And most impressively, probably still the most astounding music ever recorded at the Vanguard, tied with Coltrane from the same year. Warning this will spoil you for other trios or pianists. This is a genuine classic. But, be forewarned it may spoil you because the level of individual musicianship and the group interplay of the three musicians is at a level rarely equalled by other jazz (or any style) musicians. Its companion volume, "Sunday at the Village Vanguard," which focuses more on bassist Scott LaFaro, is its equal. Evans' touch, sense of rhythm, intelligence and his long, flowing melodic lines have been better documented by others than I can. And LaFaro's inventiveness and technique have, too. But, I find few people talk about Paul Motian on drums. His is some of the best drumming ever committed to cd. He is so much more than a timekeeper, he is a melodist and an equal member of the trio. He is endlessly creative, in tune with the other musicians, mindful of the ebb and flow of the music and plays in the context of the other's contributions and the song at hand. (Compare to the drumming on Rubalcaba's "The Blessing" which is often brilliant, but often too busy or loud for the context he's playing in.) Nobody uses brushes as well as Motian. (Though the style of music and drumming is very different, I find Motian the equal of Art Blakey in Monk's trio recordings--"Work" and "Nutty"-- in that the drummer is not subserviant to the gifted pianist, but makes him even better by his level of musicianship and inventiveness. Both Motian and Blakey prove that drumming can be about much more than rhythm but about music.) Many people talk about the fact that this is an ensemble in which all three members solo, play lead and push the envelope. The best proof of that is that I find myself listening differently to the same cut at different times. Sometimes I focus on Evans, sometimes on LaFaro and sometimes on Motian. In different listenings I find myself thinking that the real leader is a different member of the trio. This is one of those cd's I listnen to late at night and find myself using the back control to listen again to a phrase, or how one musician plays off another's ideas, or just to hear again a stunningly beautiful or inventive phrase. I find, even after 20 years of listening to this music (on vinyl and cd) that I still find new wonders and delights. Warning, the level of musicianship, interplay, creativity will spoil you. No one plays like Evans,(except imiatators) and few have found "sidemen" equal to the task of matching them. For trained ears, this 20 bit K2 remastered version sounds significantly better than the conventional less expensive version. 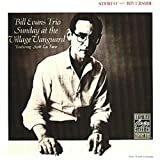 But the price difference is more than justified, if you are a devoted Bill Evans fan who wants to get as close as possible to the real performance on stage that magical Sunday afternoon. Nonetheless, I cannot help but listen to this CD with genuine respect and apprecaition to the musicians but also with disdain to the audience at the club. They were so lucky beyond any stretch of imagination to be there but (at least, some of them) kept on chatting with occasional laughter during the performance. This may be an indication that Bill Evans was still taken lightly as a budding musician in those early days of Bill's career. If you want more, Bill's "The Complete Riverside Recordings" will give you a chance to expose to the entire show in the sequence of each tune as originally played. Live cds can be either really good or really bad depending on the production work done. Well this one is very good the audience sound dosen't interfere with enjoying the music as some live cds can and the music sounds crisp clear, the vocals not all fuzzy as some live shows can sounds and the other instruments are also very well produced. I like the selcetion of songs on both cds as they are two different concert many years apart and they don't repeat any tracks even though I'm sure the actual concerts had some of the same songs played. 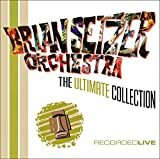 Very well thought out and an excellent addition to your BSO collection. Another one of the reasons I like this cd is that live Big bad/Swing/Rock-a-billy sounds much more exciting in live concerts than they can in studio albums....now don't get me wrong I love the BSO studio albums but the energy is completely different and if you are like me and love the higher energy music style of these genres then live is sometimes the best way to get the best versions. The Incomparable Nina Makes Pure Magic! 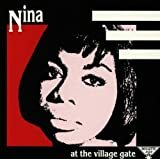 In the intimate ambiance of The Village Gate, Nina Simone made pure magic with her voice and on the keyboard, one Manhattan evening back in 1961. She sang and played with a trio, which featured her favorite guitarist, Al Shackman. We are so fortunate that the moment was captured and recorded. This is by far my favorite collection of Ms. Simone's music. I can't really categorize Nina's sound or her music and call her "just" a fabulous jazz vocalist. Although, she plays extraordinary jazz with her voice, as in "Just In Time." She has been often called a musical anomaly, because there is no one category for her work. She was trained as a classical pianist, and in cuts like "Bye Bye Blackbird," the complexity of her piano comes through loud and clear. Her folk songs, like the biting "House Of The Rising Sun," and "Zungo" an African work song, place her at the top of a long list of folk singers. Ms. Simone's gospel songs, i.e., "Children Go Where I Send You," can raise the roof and bring down the house, as she did at the Gate in '61. She is a protest singer, "Brown Baby," and an actress, capable of an extraordinary range of emotions. Nina has the rare ability to dig into her material and bring unexpected meaning to familiar lyrics. She is eclectic with her taste and her repertoire. But whatever touches Nina, and whatever Nina touches, will reach you and evoke an emotional response. Her music is as fresh today, as it was 42 years ago, singing for that Manhattan audience. They could not have loved her more then, than we do now. "Hear for yourself," said Nina. 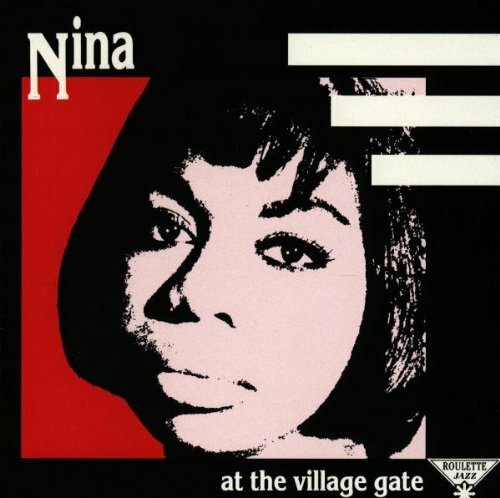 I recently read her autobiography, and in reference to this concert at the Village Gate, Nina Simone stated that she owned the crowd that night, and if you don't believe it you can buy the album and hear for yourself. Ms. Simone does not exaggerate: she gave an incredible performance that night. The album starts with a jazzy standard "Just In Time", then goes onto a ballad. Already having snapped your fingers and bopped your head, then stared wistfully, meaningfully into space while the ballad works its magic, you shift into blues with her breathtaking rendition of "House of the Rising Sun" which she released before the Animals had the hit. One thing that's great about this album is that it really showcases her skills as a classically trained concert pianist. Though most people, sadly, know her as a vocalist and stylist, she's playing the piano when you hear one in her songs because she never intended to do popular music, but there had not yet been a black woman concert pianist and despite her best efforts and prodigious talent, she did not succeed in being the first. The fourth track on the album is a nice lift from the second and third, more somber tracks. "Brown Baby" returns to the eerie and hopeful ballad territory. Though she became known for her protest music later in her career, at the time of this recording Nina was still doing a variety of styles. To hear the emotion and strength of conviction in this song is to understand how anyone develops the strength to fight passionately for justice, and to taste the salty tears of rage. "Zungo" is upbeat and yet another style. Then "If He Changed My Name" turns toward the reflective strength of the spirit, a sparse arrangement with haunting vocals. And "Children Go Where I send You" brings the house down. "You ever been to a revival meeting...? Well, you're in one right now." I own dozens of Nina Simone albums and have been a fan for years. Until I heard this one, though, I could not appreciate fully the range of her talent from the early days of her career. As much as I love some of her other albums, this would be the one I'd have to take with me to a remote island. No fan should be without this album. And nobody who's reading this should leave the page without giving it a try: it's dang good. How come a recording like this took so long to be released on CD? If one is to own only ten Jazz CDs, this one MUST be among them. It is so perfect you won't believe it is a live concert! The solos are so harmonious, beatiful and flawless that they sound like every note was written and rehearsed to exhastion. Take a great deal of time to enjoy the extended version of Blue Rondo a la Turk. You'll be so amazed you'll keep playing some parts over and over. Eleven-four is one of my favorites. Paul Desmond is dazzling in his solo. Paul Desmond's solo in For All We Know is so perfect it could be transcripted and played as a new song. If you are a jazz fan but you're not that familiar with Brubeck, get this one now! You won't be disappointed. I have the 33 1/3 rpm vinyl from 1963 and had dubbed it to tape to play in my car since there were no CD's at that time. I'm pleased to see this album is on CD. My brother saw this concert when he was in the Navy and I've been jealous for 40 years. I've been a working musician for nearly 40 years . . . I love all sorts of music . . . I'm currently in a band that plays a bit of everything (rock, country, blues, jazz) . . . I've even played (brass or drums) in several "Big Bands". 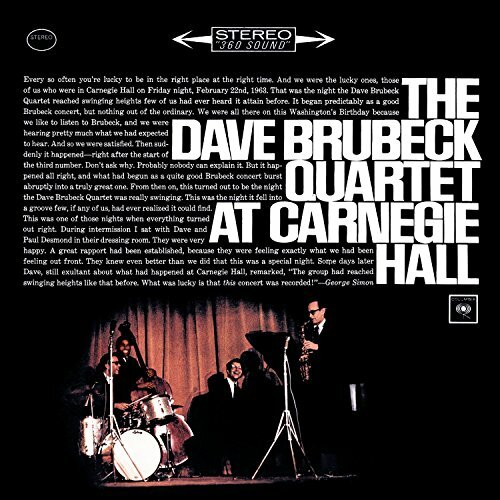 Dave Brubeck "Live at Carnegie Hall" is one of the very best LIVE albums that ANYONE has EVER produced. Every time I hear it I say "Damn, I wish I could play like that!" If you want to learn how to play "through the chords" . . . buy this album! This album is great, but a little uneven. The first side is all right, but the second is absolutely incredible. It's a must have for Brubeck collectors to complete your collection. In the first set, the group warms up for the outrageous second set. 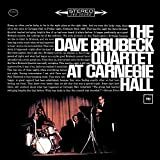 This concert captures the Dave Brubeck Quartet at their best. The whole group was nervous before getting on the stage, but the energy on this album is unstoppable from "St. Louis Blues" till "Take Five". It's hard to pick highlights because the whole concert is awesome. "St. Louis Blues" gets the concert off the ground and then some. Brubeck's solo here is my favorite piano solo Brubeck did, building an interesting melodic idea until it explodes into a thundering climax, with Brubeck's heavy block-chords, and he stops when the intensity level is at its highest, paving the way for an awesome Joe Morello drum solo. And the concert is underway. Another standout is Brubeck's treatment of "Pennies From Heaven", the melody heavily chorded. Also, one of Desmond's greatest solos is here, his creativity clearly ignited. Brubeck's percussive solo is also very impressive. But, I think the second half of the concert is better, featuring songs from Time Out and Time Further Out. Every performance here is awesome, but the one that stands out the most is "Castilian Drums", featuring a lengthy but REMARKABLE drum solo from Joe Morello, one of the best drummers in jazz. It is a series of climaxes that brings the audience to a roar. I would also say the Quartet playing "Blue Rondo" is awesome here. This performance is better than on the album Time Out, where it was first recorded. It is spend up considerably, but it works out so it builds up energy released when the guys solo during the blues section. And, of course, the Quartet could not go home that night until they played "Take Five", and the audience immediately applauds when Brubeck plays the familiar vamp. There is also a piano solo by Brubeck, which was not done on the original version. When Scott La Faro died ten days after this remarkable performance, he wasn't the only one who died. The Bill Evans Trio, which functioned as a single entity, also lost its life. 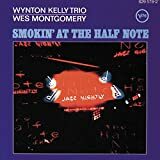 While it might sound just like the ordinary praise heaped on a jazz recording of this stature, the interplay between these three musicians is truly nothing short of telepathy. What do you get when the product is greater than the sum of parts as spectacular as Bill Evans, Scott La Faro, and Paul Motian? This. There's not much I can say that will do this music justice. Like many of improvised music's best recordings, this one will not necessarily command your attention, but close listening is more than welcome and will reap tremendous benefits. Look past La Faro's unparalleled virtuosity on upright bass and find melodic and harmonic ideas that were yet to be discovered by anyone, regardless of instrument. "Sunday at the Village Vanguard" is for anyone even remotely curious about the evolution of the jazz trio and for anyone who is a fan of thoroughly enjoyable music. It doesn't get much better than this. One of the great Sunday morning albums of all time! Luckily, this was one of my first purchases when I started buying jazz. After Miles' Kind of Blue, I thought there was nowhere to go but down. But Sunday at the Village Vanguard, along with Evans' Portrait In Jazz and Waltz For Debby prove that there is pristine beauty in this music to be found elsewhere. 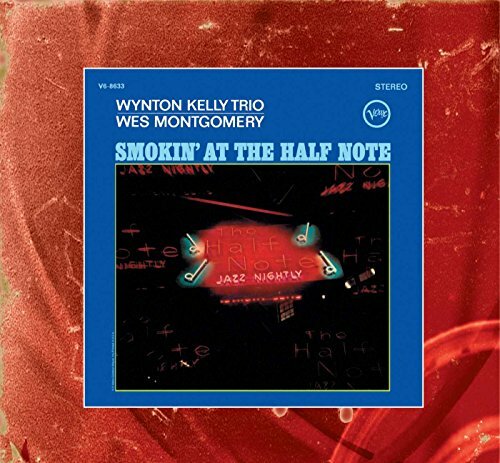 Listening to this disc, its incredible to hear a trio that is so tight and so loose at once. The band grooves through "Gloria's Step" and "Alice In Wonderland" with incredible ease and class. Evans is a keymaster, but his playing is anything but intimidating. Instead, it invites you in and lulls you. LeFaro's bass playing has such solid swing to it and the sad fact he died ten days after recording this gives the album a bit of a ghostly presence to it that is strangely comforting; just like the ghosts that live in the applause that follows every track or the bit of smoke from the club you think you smell when listening to it. After Kind of Blue, this is the disc I recommend to anyone beginning to taste the wonders of jazz. It souns simple enough on the surface, but holds scores of wonders upon careful listening. When my coffee is brewing on Sunday morning, this album always helps to keep the relaxing weekend spirit alive. 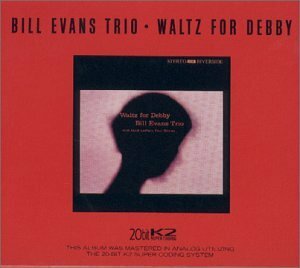 That an album so quiet and mellow at its highpoints is so powerful is evident anytime I walk by the Village Vanguard in NY and I feel the Bill Evans chills take over me. Neither Oscar Peterson nor Ahmad Jamal nor Bud Powell acheived the level of telepathy exhibited on this record and the two or three others that this trio recorded before LaFaro's sudden death. The trio may be at its absolute peak on "Alice in Wonderland". Evans often looked outside the jazz songbook to find compositions that he could turn inside out, but who would've thought that this Disney tune could be so revitalized by a piano trio? Evans also takes Cole Porter's "All of You", one of my favorite standards, and completely stands it on its head. LaFaro's genius on the bass was singular, and I have no doubt that had he not died so young, he would've supplanted Ray Brown and Charles Mingus and whoever else as the king of his instrument. His playing behing Evans is mesmerizing, totally original. His dexterity was unbelievable. But when it came time for him to solo, he really caught fire. Just when you think he's lost himself and descended into some abstract quagmire, he picks up the melody again and it's off to the races. He almost steals the show, which is quite a feat since Evans brings his A-game. Paul Motian, though capable and talented on the drums, does just what he should do--keep the time and stay out of the way. It's a historical irony that the audiences at the Vanguard during these shows were relatively sparse, and fairly inattentive, judging by the constant chatter in the background. The trio, however, remains totally focused, as will the listener. Another reviewer has referred to SATVV as "one of the all-time great Sunday morning albums". Amen. The perfect music for either brunch or just relaxing with coffee and the newspaper. Honest, heartfelt virtuosity that is never, ever boring. You won't regret purchasing this. Scotty steals the show (just about)! There are cases where other reviewers have already nailed it, but I just have to chime in anyway. This is such a case: the sublime explorations of rhythm and melody that are the Bill Evans Trio's June 25, 1961 Village Vanguard performances. It should perhaps be stated at the outset that any of these remarks also apply to the album _Waltz for Debby_, which consists of takes culled from the same live sessions as _Sunday at the Village Vanguard_. Definitely get that one concurrently with this. It makes no sense to not have both. For me, probably the greatest pleasure in this music is listening to Scott LaFaro's bass playing (maybe that's because I'm a bass player, I don't know). The mix has him more or less front and center, even in front of Bill's piano, and Scott's playing is inspired and deserves such treatment. Most people first mention his virtuosic high-speed upper-register runs, but there's also his sonorous double-stops and strummed chords, and just listening to him hold down a single whole note is wonderful. But he never pulls away and "steals the show" overtly, because everything he plays is so rooted in interaction and response with Bill's piano. Listening to LaFaro's strength, sensitivity, and total command of his instrument is just a total joy to behold. 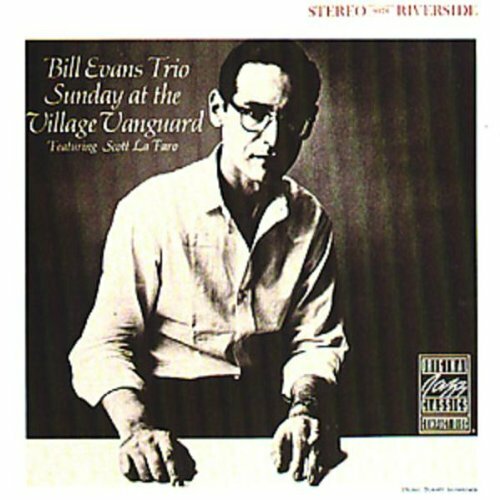 Evans' playing, too, was never better, I think, than on these recordings. His uncanny knack of extracting the essence of tunes and laying down "definitive" versions of them is in full effect here. 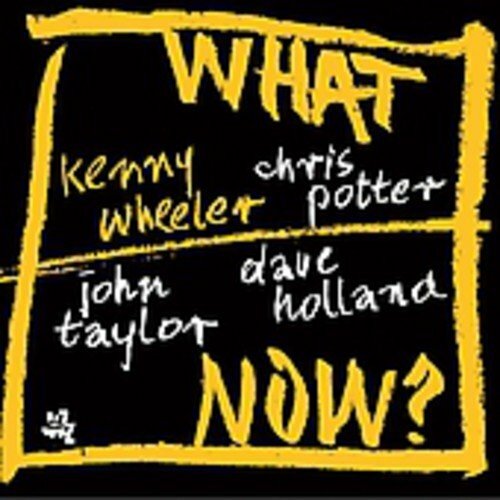 Paul Motian's drumming seems quite in the background; I hardly ever notice him. In the quiet tunes, for instance, he mostly seems to work the cymbals with brushes to create atmosphere. All in all, he plays an effective supporting role. My personal favorite moments on these albums are the contemplative, haunting masterworks that are the trilogy of quieter songs: "My Foolish Heart", "I Loves You, Porgy" (which are from _Waltz for Debby_ ) and "My Man's Gone Now", plus Scott LaFaro's "Jade Visions." I'd almost regard it as something like blasphemy for any other group to play that song. It's just so untouchable, and elegiac; as though Scott wrote his own eulogy without knowing it (he was killed in a car accident ten days after these recordings were made). And the "simultaneous improvisation" (I think some critic cooked up that phrase) this group achieves is really special. It's at a level that was never achieved on this trio's two prior studio LPs, _Portrait in Jazz_ and _Explorations_. Obviously, the spirit was just right on June 26, 1961 at the Vanguard, and these three wonderful musicians play brilliantly as an inspired unit. "Solar" is a prime example of this: listen to how the solos run; you can hardly tell at any given moment who's soloing and who's comping.